target niche + location keywords and find business leads fast! Get business leads with higher social reach. Just specify your ideal follower count on Facebook, Twitter, Instagram, Pinterest, or Youtube. Use advanced search queries to find content per author, domain, or URL. Do an exact phrase search, or force search results to show page titles or URLs with your keywords in them. Find email addresses of your business leads with a built-in email finder. Or, import a list of URLs and NinjaOutreach will crawl for emails & contact information. NinjaOutreach can find dedicated pages for giveaways, guest posts, infographics, interviews, podcasts, product reviews, resource pages, and sponsored posts. Save all your business leads into your account for future email outreach campaigns. Just one click. No copy-paste needed! Save time! Force search results to show only the business leads with a valid name, email address, and Contact URL. 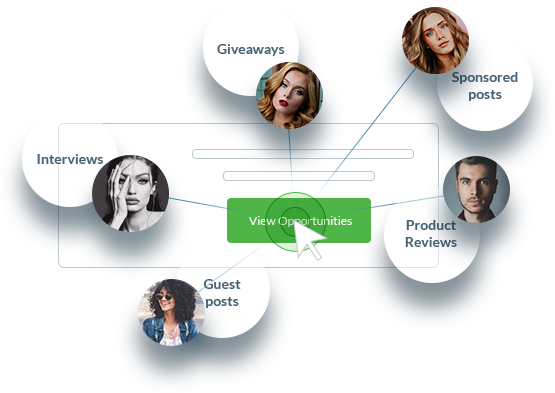 Filter your search with Smart Tags to instantly find profiles tagged as Bloggers, Influencers, Executives, Companies, Agencies, or Journalists. Specify a domain type for your business leads. Choose by authority, such as .org, .edu, and .gov sites, or by location, such as .ca, .uk, .au, and more. If you want to have a backup of your Instagram influencer leads, NinjaOutreach lets you export list of leads into a CSV. You can also export business leads from your NinjaOutreach account into an external spreadsheet if you want to keep a backup copy. Start searching for business leads ! Search for business leads on Google and save as you go via a free Chrome Extension synced to your NinjaOutreach account. Reach your business leads via email outreach campaigns. Schedule what date and time to send your emails. your business leads without switching apps. Choose which business lead receives your emails. Filter by tags, labels, or previous email outreach campaign interactions. 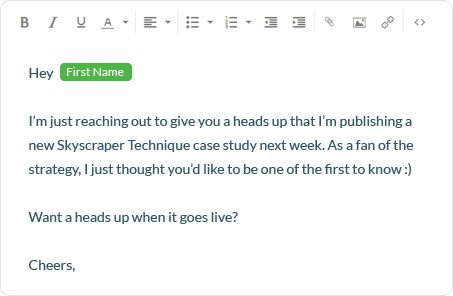 Set logic rules in-app to launch up to 2 automated follow-up emails to your business leads. Remember conversations and respond appropriately through a viewable and constantly updated message history. Know which email templates got the most opens, clicks, and replies. Find out which business leads did each action. Don’t let contact forms delay lead generation. Ditch manual retyping with a built-in contact form autofiller. All responses are saved in your message history. Organize your business leads with smart tags. Update relationship labels and record lead-specific notes. Personalize your outreach templates with custom fields that automatically populate with information unique to each business lead. Reuse or modify outreach emails in your template library or add new ones for whatever business purpose.